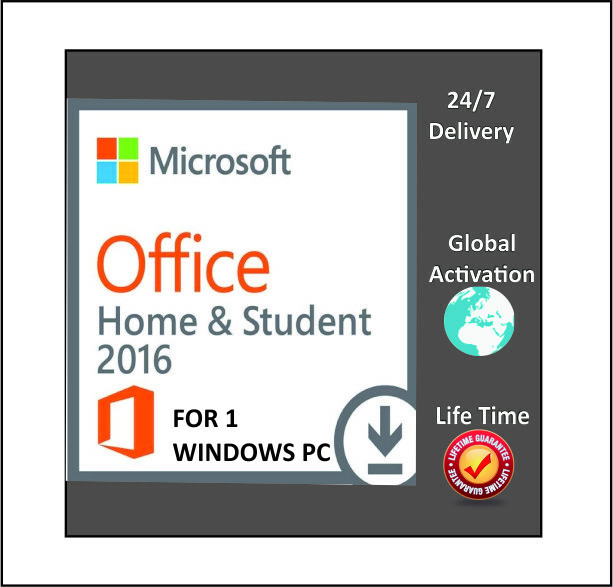 This great value Microsoft Office Home and Student 2016 is high quality product. Contains Microsoft Word, Excel, Powerpoint, and OneNote, it is suitable for use with Microsoft Windows 10, Windows Vista 64-bit, and Windows Vista operating systems. Microsoft Office requires a hard drive space of 3GB, minimum RAM of 1GB, and a minimum processor speed of 1GHz. Installation is straightforward with instructions included. This product does not infringe on any copyright, Trademark, or any other rights, or any of's listing policies or spam policies.